For day eight, I'm putting some more makeup. I think this is something that makes it to my list every year. 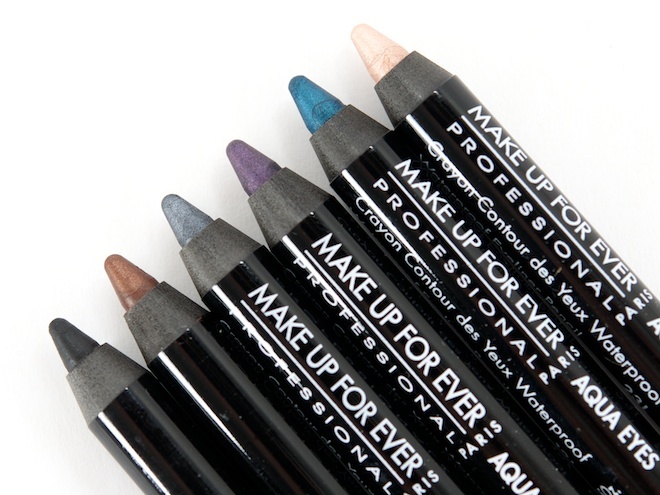 I still love the MakeUp Forever Aqua Eyes Eyeliner. 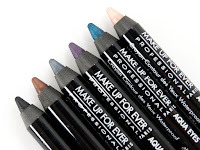 I'd actually like to try the 14L (White), and add the 10L (Copper) and 6L (Black with Purple Highlights) to my collection. I'm also running low on my Covergirl - Bombshell Volume by Lashblast mascara. I think I always use black. The eyeliner is available at Sephora or Ulta, I'm sure, and I've actually gotten the mascara at Target.